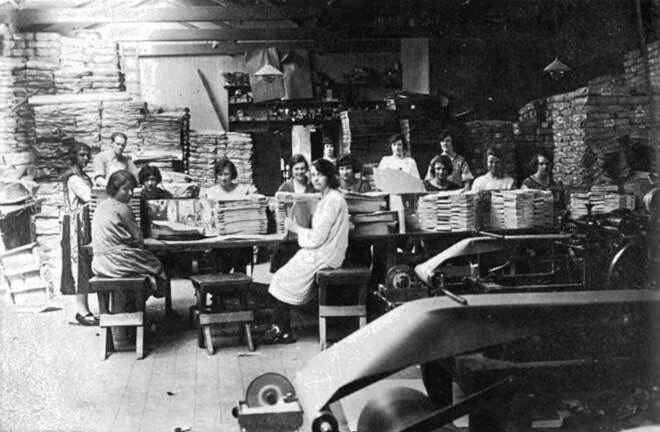 Paper-bag making was a standard part of paper-mill work, and was usually done by women. The Mataura mill made a variety of sizes, some by machine and others by hand. The bag room was a noisy place to work, with the machines clattering and clanking. In winter it was often very cold, and the women would tie sheets of heavy brown wrapping paper around their legs for warmth.